UNITED NATIONS, Sep 8 2014 (IPS) - The Group of 77, the largest single coalition of developing countries, is hitting back at New York City banks that arbitrarily cancelled the accounts of more than 70 overseas diplomatic missions, leaving ambassadors, senior and junior diplomats and non-diplomatic staff without banking facilities. The largest number of diplomatic accounts was in one of the biggest banks in the U.S. – J.P. Morgan Chase – which was once housed in the U.N. secretariat as Chemical Bank and considered part of the extended U.N. family. Relenting to pressure from the United States, the resolution does not single out Chase by name – although it did so in the original draft which was revised after several rounds of closed-door negotiations since last May. The resolution has been sponsored by the Group of 77 (G-77) comprising 132 developing nations, plus China. Virtually all of the cancellations were accounts with developing country U.N. missions. The report is expected to name names and identify the banks responsible for mass cancellations of accounts. JP Morgan Chase handles billions of dollars in the accounts maintained by the United Nations and its agencies in New York City. “The resolution being proposed by the G-77 and China is a reaction to the highly arbitrary manner in which the Chase Bank closed the accounts of certain missions and their staff members,” he said. Some accounts had been maintained at this bank for many years, he added. “We responded to a range of concerns, especially of G77 and China, when drafting this resolution,” said Kohona. If Chase was forced to comply with some local regulations, was this measure applied selectively or to all missions that maintained accounts with it? he asked. “Was the host country in compliance with its international legal obligations vis-a-vis the U.N. Member States, if it had actually enforced regulatory requirements on the banks that made the conduct of normal diplomatic business difficult?” said Kohona, a former chief of the U.N. Treaty Section. The resolution cites the 1947 U.S.- U.N. headquarters agreement that guarantees the rights, obligations and the fulfillment of responsibilities by member states towards the United Nations, under the U.N. and under international law. Additionally, it cites the 1961 Vienna Convention on Diplomatic Relations as a regulatory framework for states and international organisations, in particular the working relationship between the United Nations and the City of New York. He said some countries are reduced to bringing over even the salaries of their staff through the diplomatic bag. The action of Chase caused great inconvenience and added to the costs of many delegations, he added. A Latin American diplomat told a meeting of the G-77 last April that diplomats may be forced to stash their money under mattresses in the absence of banking facilities. Meanwhile, there have been reports that bank cancellations have gone beyond diplomatic missions and even selectively affected U.N. staffers, including a high-ranking U.N. staffer from a South Asian country, whose account was cancelled. The resolution also requests the secretary-general – within the next 120 days – to provide member and observer states with information on alternative options regarding banking services in the City of New York so as to enable them and their permanent missions to adequately manage and maintain their accounts, assessed budgetary contributions, voluntary contributions, transfers and other financial responsibilities directly related to their membership in the United Nations. 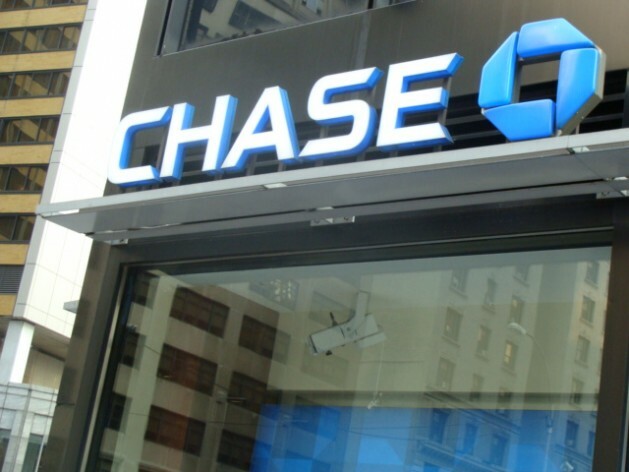 A G-77 delegate told IPS a U.N. official has assured that Chase will not be provider of banking services to United Nations after its current contract expires. Bidders of the new contract did not include Chase, which was disqualified for “technical reasons”, he added. But he did not specify what the technical reasons were. Under U.S. pressure, the G-77 watered down the tone of resolution from the original draft. The revised resolution says that member states should have appropriate banking services instead of being “guaranteed” banking services. The United States said it could not “guarantee” anything but agreed to take additional measures to assist Permanent Missions and their staff in obtaining banking services. The closure of accounts was triggered by a request from the U.S. treasury, which wanted all banks to meticulously report every single transaction of over 70 blacklisted U.N. diplomatic missions, and individual diplomats perhaps as part of a monitoring system to prevent money laundering and terrorism financing. But the banks have said such an elaborate exercise is administratively expensive and cumbersome. And as a convenient alternative, they closed down all accounts, shutting off banks from the diplomatic community in New York.